Forest Research Centre for Bamboo & Rattan (FRC-BR) is one among the nine Institutes and four Centers under the aegis of Indian Council of Forestry Research and Education (ICFRE), Dehradun, an autonomous body of the Ministry of Environment, Forests & Climate Change, Govt. of India. The FRC-BR was established in 2004 at Aizawl, Mizoram as a unit of Rain Forest Research Institute (RFRI), Jorhat, Assam in accordance with the decision taken by the Standing Finance Committee, Ministry of Environment & Forests, Govt. of India. The Centre was inaugurated by the Hon’ble Minister of State, Environment and Forests, Govt. of India Shri Namo Narayan Meena, on 29th Nov. 2004 at Bethlehem Vengthlang, Aizawl. The Centre is first of its kind in India for socio-economic upliftment of Northeastern people that revolve around Bamboos and Rattans. 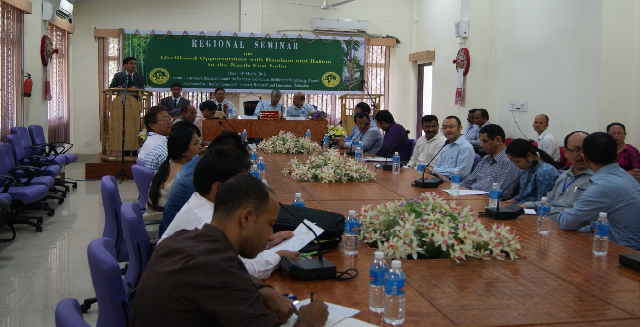 1- To carry out focused research on Bamboo and Rattans in North-eastern region. 2- To disseminate available technologies/processes/tools to user groups for conservation and sustainable use of forest resources, particularly bamboo and rattan. 1- Conservation and Sustainable Utilization. 2- Establishment of Germplasm Bank of Bamboo and Canes. 3- Establishment of Bamboosetum and Canetum. 4- Nursery technology including Cultivation practices. 5- Macro and Micro propagation. 6- Genetic improvement – Clonal garden, certification etc. 7- Technology for value addition, edible shoot processing, etc. 8- Product development including bamboo composites. 9- Bamboo based tools/machines for Bamboo working. Germplasm of twenty eight bamboo species viz., Bambusa bambos, Bambusa vulgaris, Bambusa vulgaris var. Striata,Bambusa vulgaris cv. wamin, Chimonobambusa callosa, Sinarundinaria falcata, Bambusa nutans, Pseudosasa japonica, Dendrocalamus sikkimensis, Bambusa balcooa, Dendrocalamus longispathus, Dendrocalamus hamiltonii, Dendrocalamus giganteus, Schizostachyum pergracile, Thrysostachys oliveri, Melocanna baccifera, Schizostachyum dullooa, Melocalamus compactiflorus, Bambusa mizoramiana, Dendrocalamus strictus, Bambusa khasiana, Phylostachys manii, Sass fortunii, Dendrocalamus alemtemsi, Dendrocalamus mokokchungana, Bambusa tulda, Bambusa dampaena and Dendrocalamus asper and eleven rattan species viz., Calamus flagellum, Calamus tenuis, Calamus gracilis, Calamus floribundus, Daemonorops jenkinsianus, Calamus guruba, Calamus latifolius, Calamus nambariensis, Plactocomia khasiana, Calamus khasianus, Calamus accanthospathus are being maintained by ARCBR in its campus at Bethlehem Vengthlang, Aizawl Mizoram. Different accessions of edible bamboo species viz., Melocanna baccifera, Dendrocalamus longispathus and Parkia roxburghii an important NTFP collected from different locations of Mizoram has been planted each in a 0.5 hactare area at ARCBR campus for future study on different parameters. Germplasm bank of Agar wood (Aquilaria malaccensis) with 20 clones collected from different regions of North East India each having four replications by Rain Forest Research Institute, Jorhat, Assam has also been maintained in ARCBR. Common nursery techniques for bamboo and rattan have been developed and the pamphlets have been published on cultivation and propagation of Bamboo and Rattan. The content of the pamphlets has also been translated in Mizo languages for easy understanding and distribution during the exhibition and VVK trainings. Dubbing of multi-media materials in local language is being carried out for the benefit of local trainees. A tissue culture laboratory in collaboration with the State Forest Department of Mizoram has been set up and operationalised. Presently the tissue culture raised plants of D. longispathus and B wamin has been raised in the field at ARCBR. Micro propagation has been started on Dendrocalamus giganteus and Schizostachyum dullooa. Plant Pathology and Lichenology laboratories at ARCBR were established and operationalized from 2014 onwards with the help of the grant received through the ICFRE in the ongoing research projects. Presently these laboratories are fully equipped for carrying out related research work. 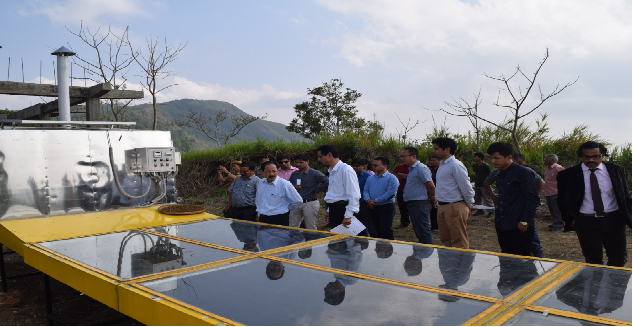 A solar dryer of 150 kg capacity has been procured under REDD+ Pilot Project and installed in Reiek Village, district Mamit, Mizoram for use of communities. 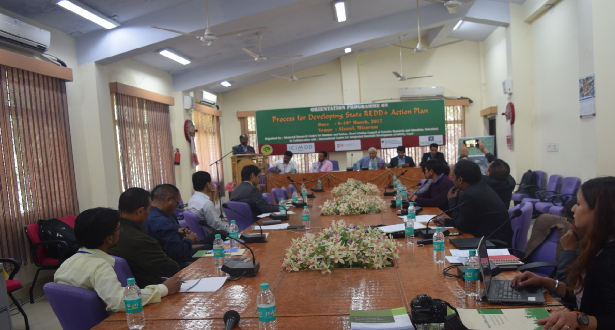 The First regional level seminar on Livelihood Opportunities with Bamboo and Rattans in the North East India On 14th March 2015 was conducted by ARCBR in the presence of DG, ICFRE. Souvenir containing full papers and abstracts was released. Proceeding of the seminar is also published. 45 participants from ICFRE, RFRI, ARCBR, SFD of Mizoram and other States of NE, Mizoram University participated and presented the papers and oral presentations. 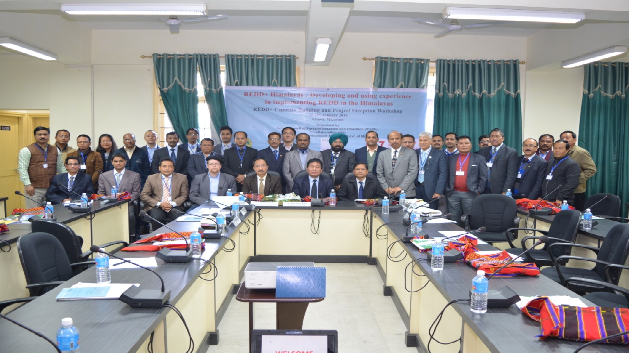 ARCBR Published a Proceeding of the Regional Seminar on Livelihood opportunities with Bamboo and Rattan in the North East India. 84p.